Have you ever used hand signals in the classroom or in your homeschool? 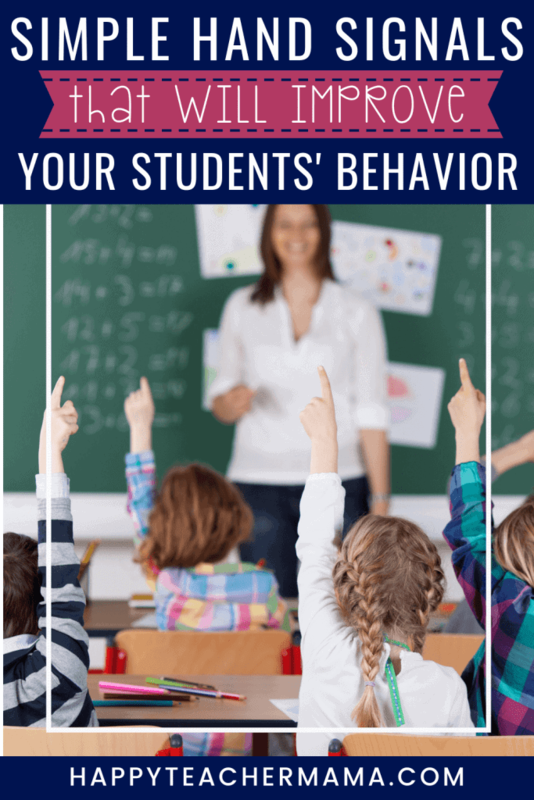 If not, you are missing out on an amazing nonverbal classroom management technique that can truly change the dynamic of your day. And did I mention they are non-verbal? You know I’m a huge proponent of discussion to engage your kids and keep them on-task. However, discussion isn’t always appropriate in specific situations. And that’s where hand signals come into play. When I first began using hand signals in the classroom, I was the ELA teacher in third grade. To create consistency and alleviate confusion for the kiddos, all of the third grade teachers used the same ones. We had images posted on our boards to remind the kids (and us) of the different signals. After the first couple of weeks, the kids were using these silent signals in all of the classes. And trust me, it made teaching so much simpler for all of us! Just as a quick note, my kids always knew to grab a pencil before class started. However, occasionally, when completing an activity or writing in their journals, a pencil would break. In this case, the child simply held up the pencil in the air, and I would either bring the child a new one or allow them to get up and get one. However, if the pencil wasn’t actually broken, they didn’t get a new one. While these signals were designed for classroom use, they are perfect for your homeschool. Obviously, if you only have one child, they aren’t necessary, but if you have more than one child (and especially if they like to get out of their seats frequently) you’ll want to start using these. I promise, they’ll cut down on the interruptions during your individualized instruction. My favorite interactive hand signals were used during large and small group time to get everyone engaged in the lesson. These were especially important for my active learners because the movements got their bodies involved in learning. 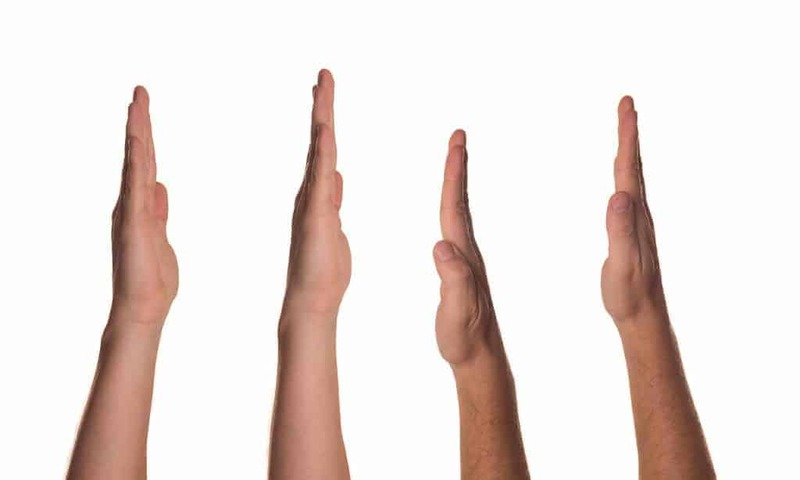 Indicate “I disagree” by crossing their arms in front of their chests and making an x. My students loved using these! They were the perfect assessment tools because I could look at the hands and immediately know who knew the answer and who didn’t. These were also a springboard for interesting conversations and debates about the correct answer. Sometimes, my kiddos would be encouraging a struggling student before I even had a chance to. This made my heart so happy because the kids were saying “you can do it” without ever opening their mouths. It was such an encouragement, and it created a wonderful environment while cutting down on classroom behavior issues. Because I believe in the power of hand signals, I created these hand signals for school poster sets. They coordinate with the other items in the Rustic Wood Collection and the Rustic Coastal Collection. 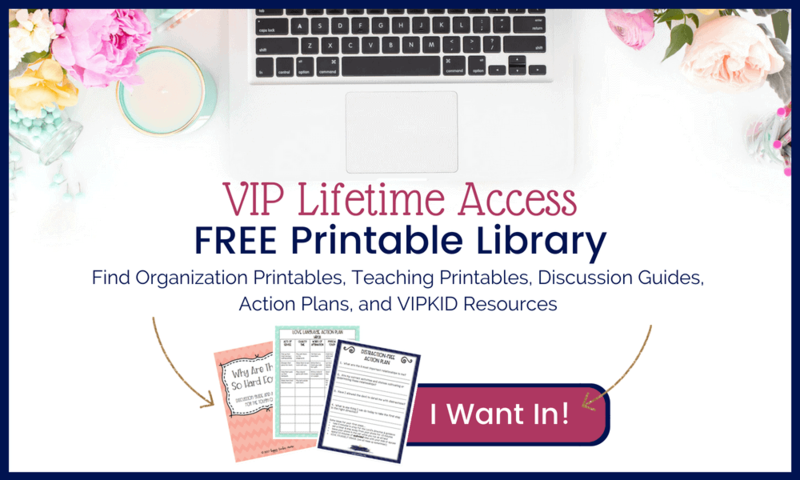 These printable sets are perfect for every grade and will be one of your best classroom management techniques. My students raised their hands to answer questions or give me a signal. If I saw a signal, I knew exactly what my student needed. Thus, I could simply nod or shake my head without ever having to miss a beat teaching. I was able to assess my kiddos’ understanding based on whether they agreed or disagreed with a specific answer. The “keep going” signal created an encouraging classroom environment. If you add these into your daily routine, you’ll find more benefits than I’ve even listed. Yes, there’s a learning curve for you and your kiddos, and you might occasionally forget the signals. (That’s why you have the posters on the wall!) But, I promise if you use these hand signals for school or homeschool, you’ll reap positive benefits.